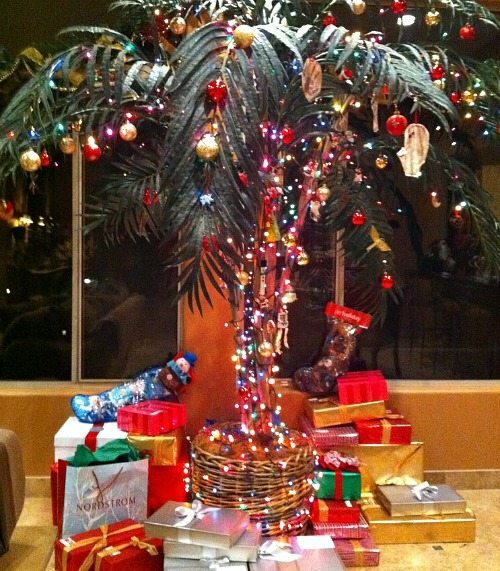 Deck the palms for a different kind of Christmas. 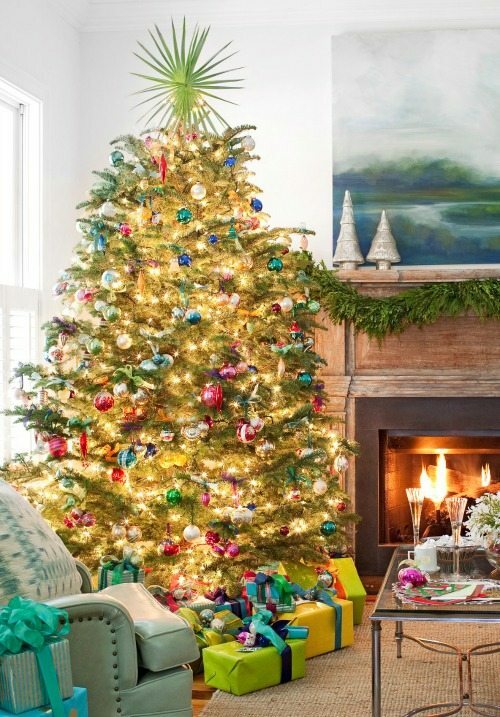 A palm Christmas tree fits right in if you live in a tropical climate, and might just be what you need if it’s cold outside where you are. 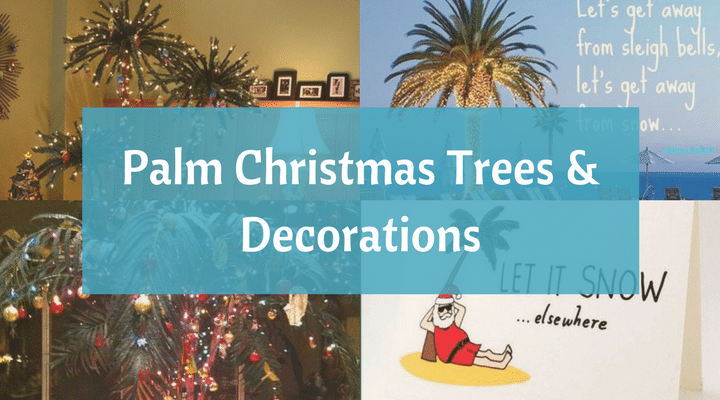 So here are a few ideas how to create a tropical oasis with palm Christmas trees and palmy decorations. 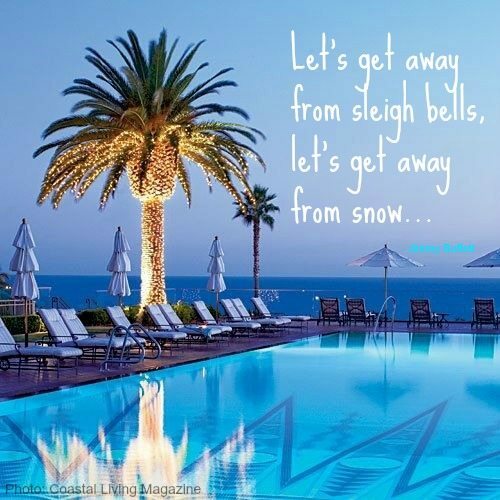 Lyrics by Jimmy Buffett from Christmas Island. Photo was the cover of Coastal Living magazine a few years ago. Palm Tree Set from Targets Pre-Lit Palm Tree Collection transforms a guest room into a warm tropical oasis at Between Naps on the Porch. 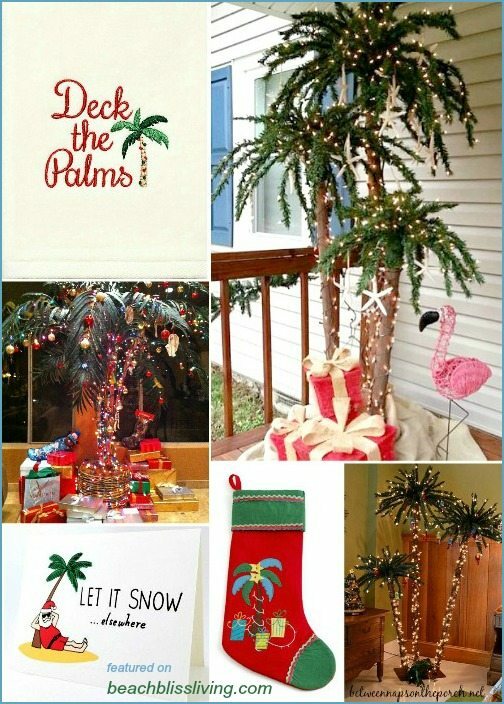 The same palm Christmas tree set is used for the porch display with flamingo, a Tree Submitted to my Facebook Page last year. Deck out a real or Faux Palm. Via. 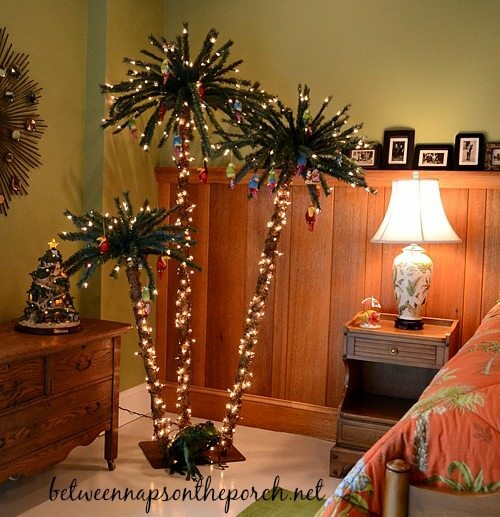 Or for a tropical touch on a traditional Christmas tree, add a palm frond tree topper. Featured at Traditional Home. 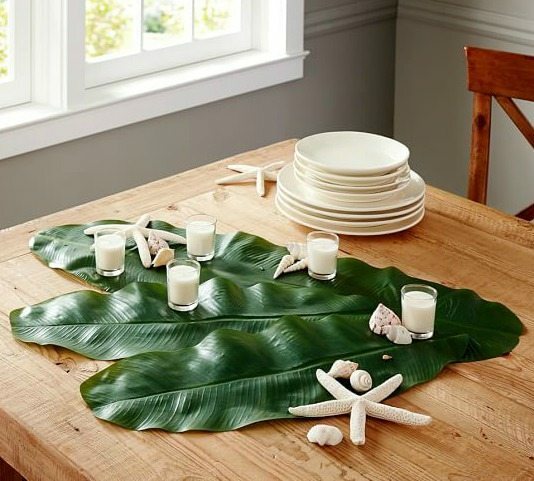 Set a palmy mood on a table with Pottery Barn’s Faux Palm Leaves. 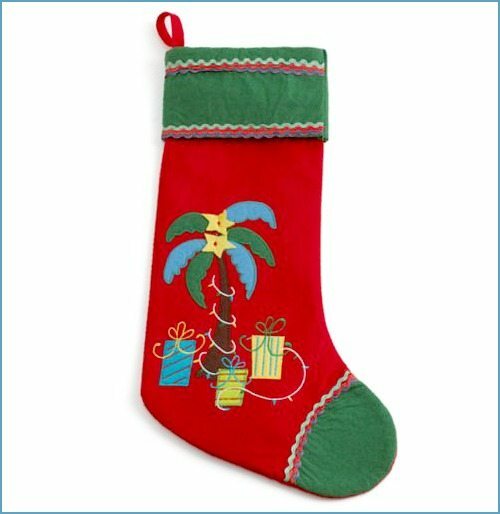 Hang cozy Palm Stockings. From Macy’s. Bring a little bit of paradise to the bathroom. 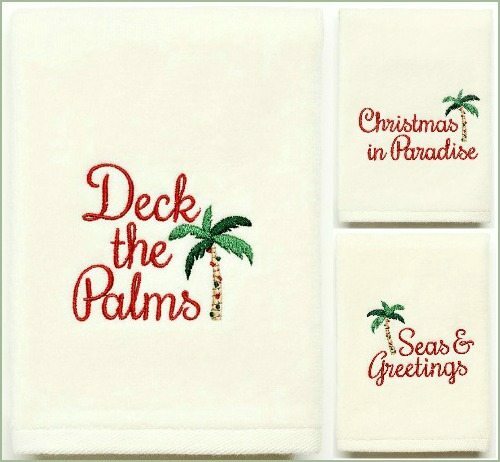 Kohl’s Collection of Christmas Towels includes embroidered palm tree motifs with sayings. 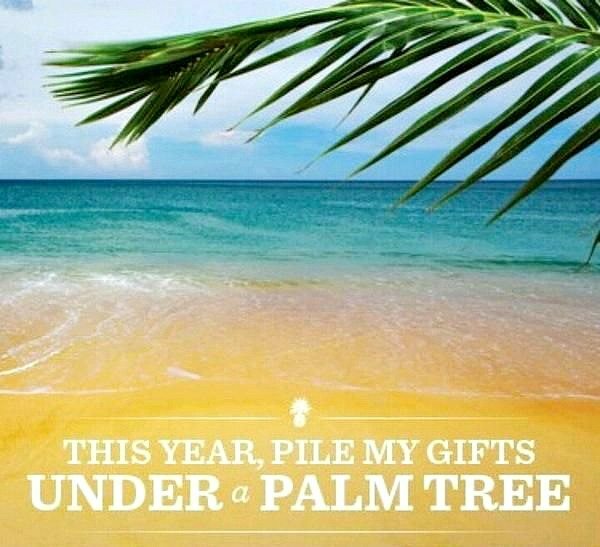 Deck the Palms, Christmas in Paradise and Seas and Greetings. 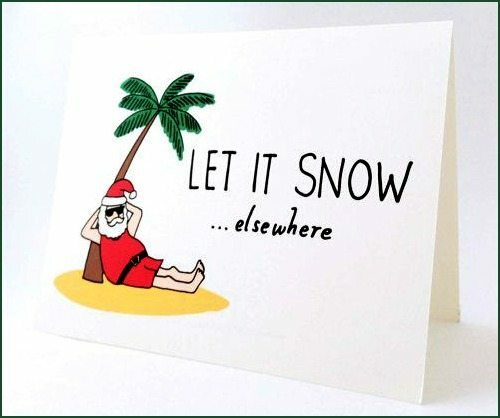 The perfect Santa on an Island Christmas Card to put on display and/or send out to family and friends. From Euclid Street Shop, an Etsy store.